Trust, convenience and ease of use will be key to enabling the full potential of voice-assisted conversational commerce, MASTERCARD explains in a white paper that examines the factors that will lead to its successful adoption. 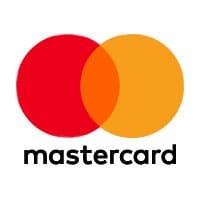 “Ever smarter, connected devices comprising the Internet of Things are changing the ways we engage with technology, and voice activated personal assistants, speakers and services are increasingly our gateway to the digital world,” Mastercard explains. ‘Is anybody there? 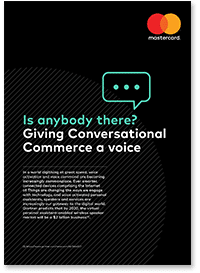 Giving conversational commerce a voice’ has been produced by Mastercard and approved by the NFC World editorial team. This eight-page white paper is available free of charge to NFC World Knowledge Centre members (PDF format, 1MB).